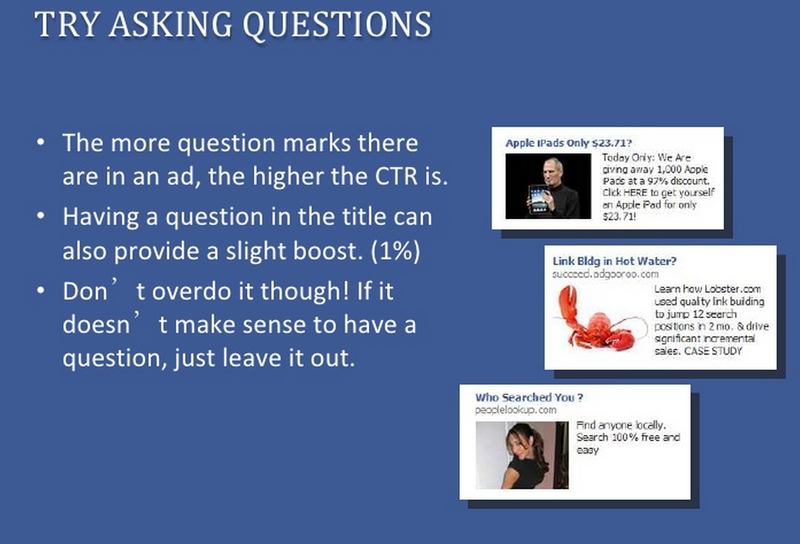 Did you know that there are remarketing campaigns on Facebook? Are you reaping these benefits? By now you know that Facebook ads can be targeted to people who take an interest in your service or product, but I want to go over how Facebook remarketing campaigns can also increase your ROI. A visitor comes to your site, shops around then has to leave. When you invest in remarketing you segment your visitors and create custom ads then show these to the people who have visited but for some reason had to leave. This just offers them a little reminder that you are still there and still have that great product they want. Now Facebook also has remarketing and can help boost your conversion and lower your overall advertising costs. The benefit here is that you show advertising to people that are interested in your services. For this to work you need to determine which users visit your site organically and find them on Facebook or Twitter, which isn’t all that difficult. Compared to other remarketing costs on search engines like Google or Bing, Facebook remarketing ads are less expensive, and the reason is because Facebook traffic is less targeted than search engine traffic, well supposedly so, but in certain cases it is even more targeted. The theory is that on search engines, users are already looking for the product or service so they are asking for you. On social media you are only exposing your readers and users to an ad while they are doing other activities. This results in lower costs. However, in many cases Facebook marketing is more effective because people tend to have more time to click on an advertisement and read through it. Remember, on Facebook people are socializing and looking for entertainment which means they have the time to look around. Targetting audiences via Facebook can be as granular as you want. There are many filtering options that allow you to reach the audiences you seek. Use that to your advantage. 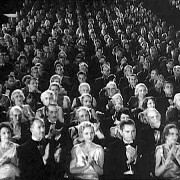 A hyper-targetted audience guarantees cheaper traffic. 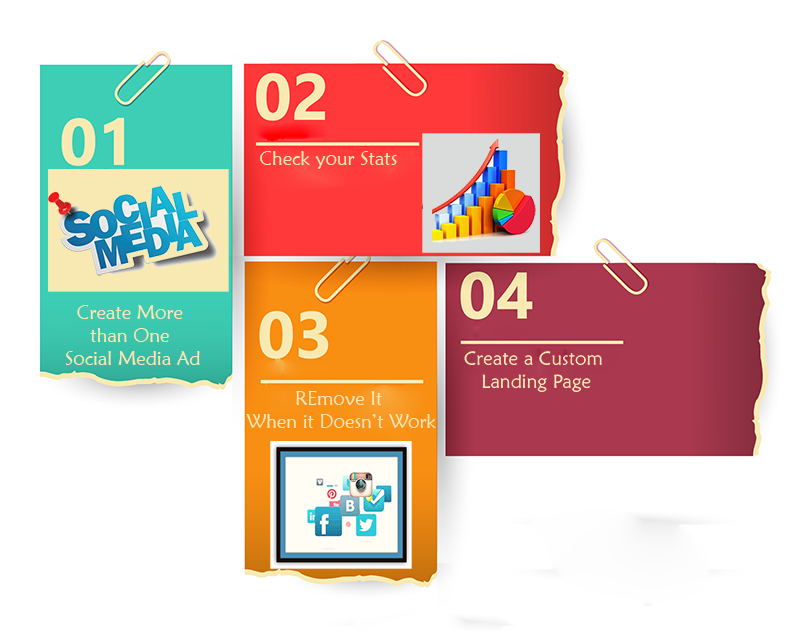 Through Facebook marketing you can convert your audience but you need to have quality and consistent marketing efforts. You must customize your message to include relevant information that customers want. One of the hardest objectives when using social media marketing is to get consumers to respond with comments on a product or a post. And why are comments important? Truth is when consumers comment on something you’ve posted on your business page, you get more engagement and this turns into more views and in most cases, more sales. To demonstrate the importance of this, at Uluad we are always trying to find a prime or best examples of the way social media advertising is used, that’s precisely why today I’d like to touch on a recent post made by Groupon. Understandably, we don’t all have products like this, but what makes this post so efficient is not really the product itself, but the innocent and humoristic stance Groupon took in replying to many of the comments made. It was a predesigned plan that gave them a “Sold Out” status on this product. Groupon is a discount shopping site that specializes in products, trips and discounts of all kinds. It’s this that makes it kind of tough to find a post that doesn’t seem like a total hard sale but they did it with one of their long time sellers the banana bunker. This daily deal post became the company’s most popular Facebook content ever with more than 12,000 comments, 18,000 likes and 43,000 shares. 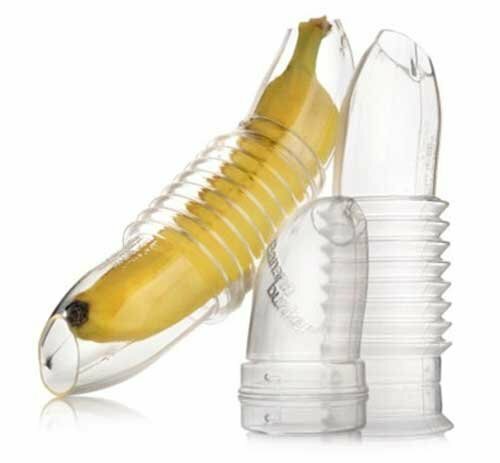 Their success lay not just in the appearance of this plastic fruit protection container but also in their simplistic and innocent responses to the sarcastic consumer comments. The Banana Bunker has always generated salacious comments but this time Groupon decided to plan on getting in on the joke. Groupon put five people on the social media planning here, with three specifically responding to the post. All in all it required about 2 hours to respond to about 150 to 200 comments. 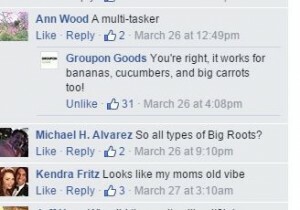 When the team was interviewed, Groupon says that this type of comment is common for their social engagement and works on many of their other products as well, though not necessarily in this volume. 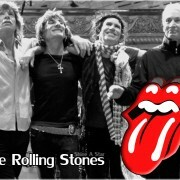 The Rolling Stones, remember them? The song, “You Can’t always Get What You Want” comes to mind when I think of change. Lessons are learned every day—or they should be – so we really shouldn’t have a problem with that, right? Whether positive or negative, life and business is full of lessons. The world of business is everchanging, and that means continual learning, Change is good. But if change isn’t your thing, well, you still need to get ready for it, as Facebook is changing the way it works for business users. You may have already noticed these changes. Notice that your page posts aren’t showing up as frequently in the news feeds anymore? Have your company’s engagement levels decreased? The reason is because of these changes. According to Facebook, they are going to improve the user’s experience by reducing the number of overly promotional page posts in the user’s feed. So if Facebook Pages are an important part of your marketing strategy, you may find that Facebook advertising is now the way to go. What If I don’t have a large advertising budget? Analyze your marketing efforts and create content that engages, informs and gives real tips that audiences can learn from and share. Use links but within the page as well as in the captions. Run a test. See what posts get the most engagement. Try posting advice, or tips within our industry. Post images on Pinterest and instagram and cross post to Facebook. Use the social media content calendar to schedule your posts. What If My budget is Small? One of the benefits of social media is that advertising is flexible and can be siloed down to your budget. Facebook allows you to target ads strategically and gives you better efficiency than many other forms of advertising. On Facebook there are ways to sell without really selling. These ar a few tips to help you expand your organic audience. Stop focusing on the Sale. Facebook is social oriented so make it social. Post good content on Facebook. Share your ideas and your blogs here. Empower your colleagues to participate. 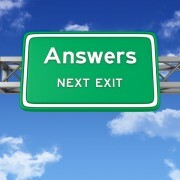 Respond to questions, doubts or issues. Now that you are empowered with the ability to change and meet those new Facebook requirements. Let’s bring it on. Do You Know What Your Competition is Doing on Facebook? While you really shouldn’t copy the strategies your competitors use, it is helpful to understand and study their posts, traffic and interaction. That’s how you might get ideas on how to tweak and change your own posting strategy. You can build off of the knowledge of what works and what doesn’t for others. To do that we’ll show you how to research your competition, see what they are doing on Facebook and study their success or failures. In Facebook there is an option called Facebook Pages to Watch. This offers a great way to start your research. It’s located in the Insight area of your Facebook page. Don’t worry page owners don’t realize you’ve put them on your list, they just get notified that someone has them on their pages to watch list. Just visit the “Overview”tab of the Insights section and locate the “Pages to Watch” section. Click “Add Pages” and search for selected pages to watch. 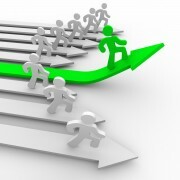 Add your competitors, as well as other pages that are in related industries. You can add as many as 100 pages to your list. Once you’ve added the pages you want, you can check them regulary and note how many times they post and the type of engagement they get. In the same Insights section, go to the Top posts form Pages you watch. This shows the top five posts, and you can then compare this information to the activity you get on your own posts. Another great way to monitor different pages is to place them on your Facebook interest list. Just click on “Interests” in the left sidebar of your personal Facebook page and click the “Add Interests” selection, then click on “Create List. The purpose in doing this is to check the types of things other people post about, without your having to navigate to the individual page. Pages to watch is a great way to get better insights, there is also a great tool to help you figure out what images get the best engagement. This tool allows you to access viral photos that come from a variety of different pages. You can also access free reports that analyze your competition on different social media platforms. The best tool for doing this is called Simply Measured. This measures the stats on Facebook, but also on other sites like Instagram, LinkedIn, Twitter, Vine and Google+. It’s important you keep an eye on the competition, that way you can discover different ways, and different types of content that work in your industry.. Just remember to always keep your own brand and messge in mind when posting. While your competitor may post a ton of animal videos, this might be getting better engagement, but it’s not really helping with any marketing effort. 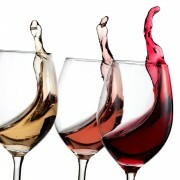 https://uluad.com/wp-content/uploads/2014/10/competition.jpg 1000 1000 Jennifer Moore https://uluad.com/wp-content/uploads/2017/05/uluad-1.png Jennifer Moore2014-10-22 15:39:462015-02-01 20:34:52Do You Know What Your Competition is Doing on Facebook? Social media listening means monitoring everything that is being said about you and your brand on the web and social media and using the input to know your audience better so you can make needed improvements. There are many reasons why you should keep track of your mentions on social platforms. First of all, this activity can really help you grow your business by identifying new market opportunities. Listening to conversations taking place online allows you to jump in and engage people in the conversation, do effective online public relations and get market insights in the most cost effective way possible. This is an automated service that generates search engine results, based on specific criteria. Results are sent to suscribers by e-mail. The tool is also free with real-time search and analysis for social media only that you can explore or opt to receive alerts. A tool that sours the Internet for mentions of your name or keywords of your choice. A tool created for Pinterest, which notifies you whenever someone pins your content from your website. There are other, more sophisticated enterprise-level tools available that offer a much higher variety of services and in-depth analysis as well. 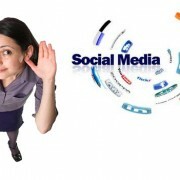 These tools take social media listening to a higher level but are not cost free. Take your time to research these alternatives always keeping in mind your particular needs and goals. Once you have a monitoring tool in place, it is time to listen to the conversations, to analyze the data and to put that information to use. The rewards of having a clear set of objectives, doing your research and establishing an active social listening plan suited to your business can be invaluable. Invest the time and resources to define your social media listening strategy to fully take advantage of one of the most important activities you can engage in for the success of your company. Facebook is fun, engaging and a great place to share stories, images and events…. But that’s not all it is, Facebook can also be a great place to advertise and promote your business. While at one point, this may have been a purely social platform, this is no longer true. The current Facebook platform is slightly different from the social platform Mark Zuckerberg created back in 2008. Today, Facebook is much more than just a college student social board; it can also be an important marketing tool for businesses, one that helps gain new customers and reaches new audiences. But to use a Facebook page effectively as a marketing tool you need to worry about getting people to “Like” your page, that way you can get your information to their news feeds so more people can see it. There are several ways to get these Likes including the use of paid Facebook advertising. However, before you turn to this marketing method, you want to get as many FREE “Likes” as possible. 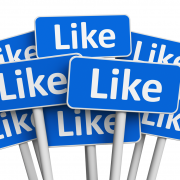 Let’s look at three important free ways to get the “Likes” you need. The biggest complaint most successful social media marketers hear from website owners is; “No one comes to my website; what’s the point of having one?” Well, when working with Facebook you really do need that website. This is the foundation of your marketing efforts. It is your sales transaction hub, your storefront. There is almost no sense in broadcasting your business to the world if you don’t have a storefront to send your leads. By the same token, if you’ve had a website for a while, then chances are that your customers already know how to find you, and you probably already have a certain following. When you first start advertising on Facebook you certainly want to leverage your existing website traffic and get them to participate and connect with you on Facebook. 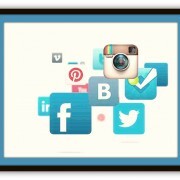 The simplest way of doing this is by placing social media icons on your website. These allow your audience to click on the links that direct them to your social media profiles. When it comes to Facebook marketing, the more fans and likes you get, the further your message reaches. This means you want to get as many people to your Facebook page as possible. One of the most overlooked ways of doing this; a method that is often overlooked by business owners is email. That’s right your email can bring you more social media reach in such a simple way; just add social media buttons to your email signature. That way the recipients can click the Facebook button in your email and arrive at your profile. This can convert existing business associates and friends into additional Facebook followers. This a especially a great way to get Facebook followers when first starting out as you can let all of your email contacts know about your new Facebook pages. Facebook has been around for a while, and if you already use the platform for personal use, then invite your fans to like your new business page. Ask close friends or employees to promote your page and invite their own friends to like it as well. You might think this has little effect on your Facebook business page, but you will be surprised by the support you get from your existing fans.